Defeat Supernatural Creatures and Ghosts in terrifying Match-3 encounters. If you like this free game, try Mahjongg Dimensions. 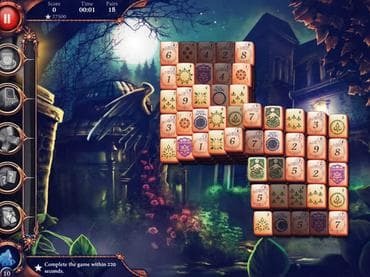 Embark on a mysterious quest in search of the missing groom, Charles Gilbertworth, solve riddles, encounter supernatural creatures and ghosts -all while solving relaxing and fun Mahjong puzzles with innovative gameplay mechanics. If you have questions about The Mahjong Huntress game, please contact us using this form.